Another industry first from Pentair, the Pentair UltraTemp ETi Hybrid Pool Heater combines a pool heat pump and an ultra-high-efficiency, gas-fired heater in the same unit. The result is a hybrid pool heater system that is eco-friendly pool heater that delivers superior energy savings and lets you put more summer in your calendar. Why the Hybrid Pool Heater? Two great heating technologies in a single heater—gas + heat pump that delivers energy savings, fast heat ups, and is long lasting. 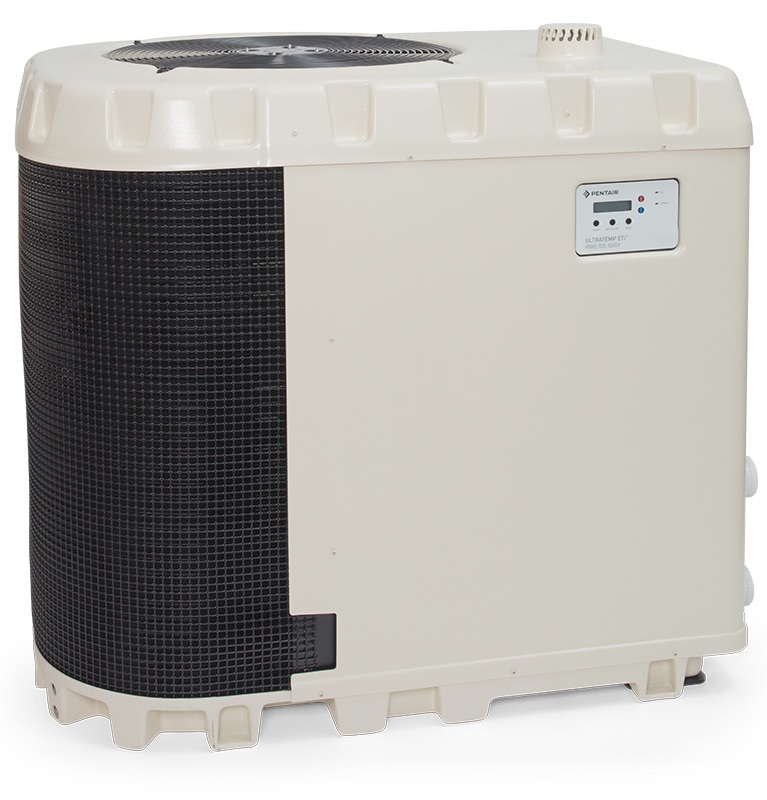 The first of its kind, the UltraTemp ETi Hybrid Pool Heater combines a powerful heat pump and an ultra-high-efficiency, gas-fired heater in the same unit. It provides superior energy savings and fast heatups, so you can open your pool earlier in the year and enjoy it longer, on your schedule. The UltraTemp ETi Hybrid Pool Heater offers four heating modes for optimum performance and efficiency. The hybrid heater’s Dual Mode provides faster heatups by running in gas-fired and heat pump modes simultaneously, while Hybrid Mode calculates the ideal heating required to meet the task at hand. High operating temperatures and pool water chemistry can be rough on conventional heat exchanger materials. With an easy-to-use interface, the UltraTemp ETi Hybrid Pool Heater is easy to set up and operate. Plus, it pairs seamlessly with EasyTouch Automation Systems, as well as IntelliFlo pumps, for optimum control or your pool and equipment.